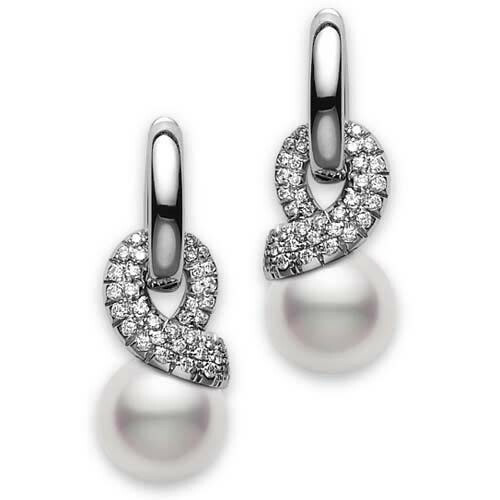 Sleek white gold, gorgeous diamonds and classic pearls create these beautiful Mikimoto earrings. Bands of 18kt white gold serves as the base of them, while a ribbon of diamonds loop graciously through, securing a luminous Akoya pearl. 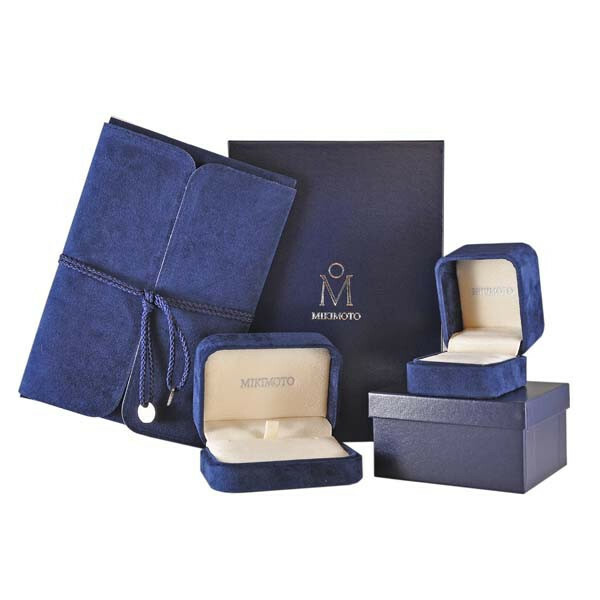 The design of these Mikimoto earrings adds beautiful dimension to a classic piece.